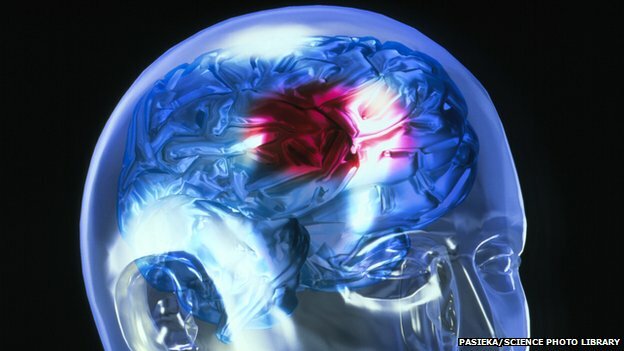 A campaign to publicise stroke symptoms saved 4,000 people from long-term disabilities, according to Public Health England. The Act Fast campaign highlighted the fact that problems with speech and weakness in the face and arms should prompt a call to 999. But PHE says 10,000 more strokes could be prevented each year if mini-strokes were spotted and treated in time. A new campaign is aimed at raising awareness of the symptoms. A mini-stroke, also known as a transient ischaemic attack (TIA), is caused by a temporary disruption in the blood supply to part of the brain. A stroke occurs when the blood supply to part of the brain is cut off because of a blockage in a blood vessel or a bleed in the brain. Mini-strokes have similar symptoms to strokes, but last for a shorter time. Like strokes, if they are not treated immediately – ideally within three hours – there is a danger that one in five who experiences a mini-stroke will go on to have a full stroke within a few days. As a result of the previous campaign, which was launched in 2009, PHE said an extra 38,600 people reached hospital within this window and received the immediate medical treatment they needed. This helped their chances of recovery and meant fewer people were left disabled by a stroke. However, according to new research, only 45% of people would call 999 if they experienced symptoms of a mini-stroke.